Arte Útil / What Will The Harvest Be? Archive / What Will The Harvest Be? What Will the Harvest Be? is a new kind of garden devised by artists Karen Guthrie & Nina Pope as a horticultural, social experiment. It is a public access project that invites anyone to participate in communal growing and harvesting of vegetables and flowers. The garden occupies a 2000 Sq meter urban site in East London, protected from development by English Heritage due to the mediaeval monastic remains of a 12th Century Cistercian Abbey. In the early 1900s, the "Plaistow Landgrabbers" inspired the artists. This group of unemployed men squatted on a nearby piece of empty land to prove that the unemployed wanted to work. They painted a slogan on the wall behind their camp: What Will The Harvest Be? The site is open every day for visitors. Rather than people claiming individual plots, the idea is to experiment with treating the Garden as one shared resource and distributing the produce amongst the regular gardeners as well as through an honesty stall on site. To highlight politics of food production and land use. 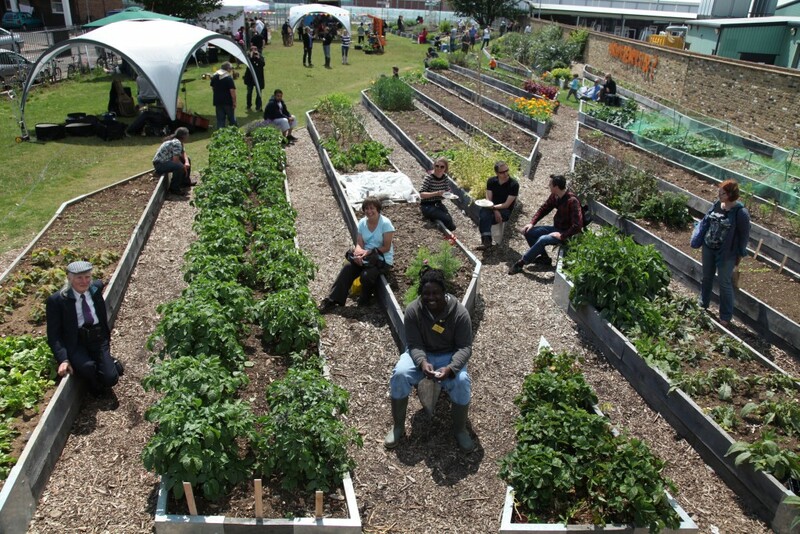 To create a working garden able to feed people. To make a space that fulfils a community led brief for a visually pleasing space. 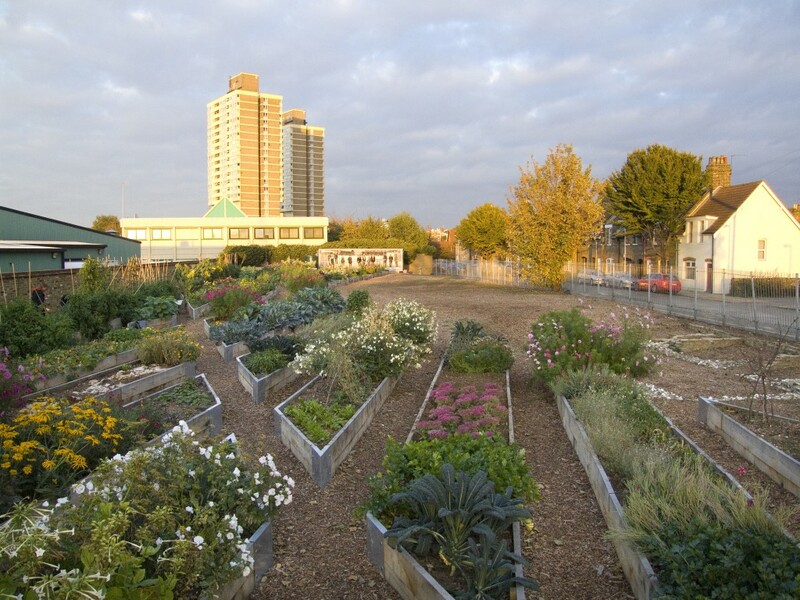 Highly productive gardens hosting events offering educational benefits bringing different communities together, regeneration and retention of an area of public, urban land. Friends of Abbey Gardens society.